Concrete removal is a difficult job, and if you’re not using the right concrete removal company it can also be a very dangerous job. You want a company you trust not to damage your property, a company that has the right type of heavy equipment and experienced people to safely remove your concrete off your property without damaging anything on your property. Express Hauling is a concrete removal company that has the proper experience in working with heavy materials such as concrete, asphalt and stone pavers. 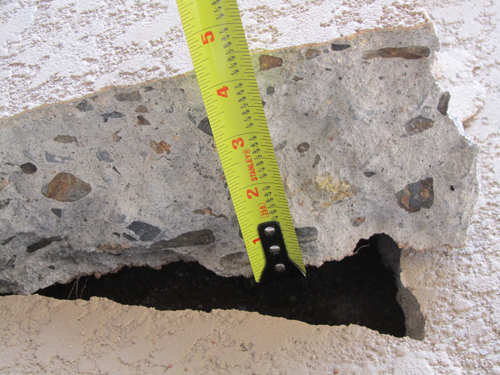 Hiring a company with the right experience to break out concrete at your home or business can be a critical decision, make sure they are licensed with full-coverage liability insurance to perform heavy concrete removal work. Keep in mind that concrete and asphalt removal is no small job, the concrete removal company you contract with should have the heavy equipment and experience necessary to complete the job.